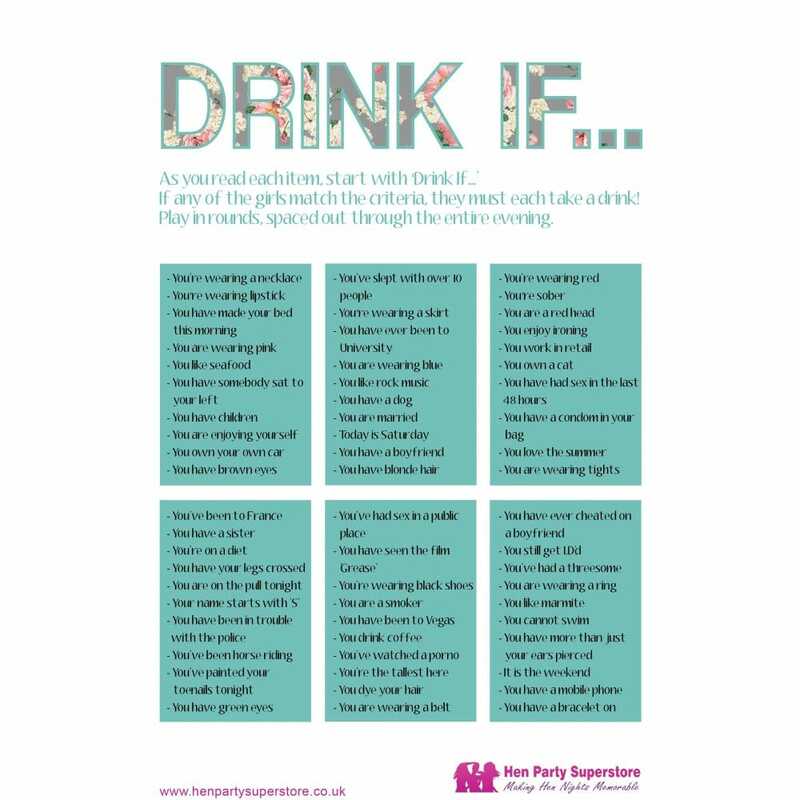 Don't force the drink down when you can enjoy it with this Hen Party ice-breaker! Have the Maid of Honour read out the list of 'Drink if...' statements, and simply drink if you can agree with the statement! You'll soon find that the drinks will be flowing and you'll all be warmed up for the night ahead!